One might argue that you haven’t properly enjoyed the Pacific Northwest until you’ve cruised out to its stunning, serene islands. 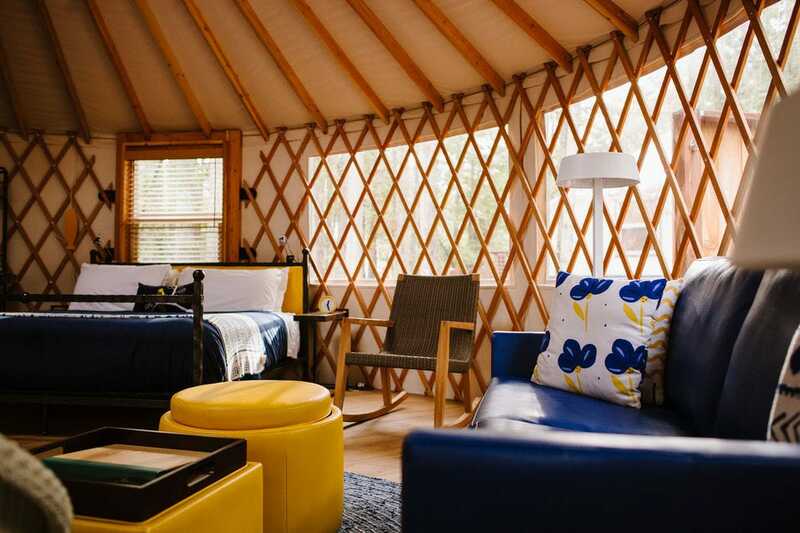 When traveling during off-season winter months, there are certain perks to be expected – reduced accommodations rates and, of course, shorter ferry queues, too. However, we’ve discovered, there are further positives to visiting when the population is sparser and the pace even mellower than usual. You’ll get the chance to interact with many of the intriguing artists, farmers, chefs and inn owners who continue to make these islands so interesting, welcoming and downright delicious. Whether you venture somewhere close to Seattle‘s downtown piers (Bainbridge, Vashon) or farther away (like British Columbia’s Vancouver Island, to experience Tofino’s storm-watching temptations, for example), we’ve found ways to view beloved PNW destinations through a brand-new lens. 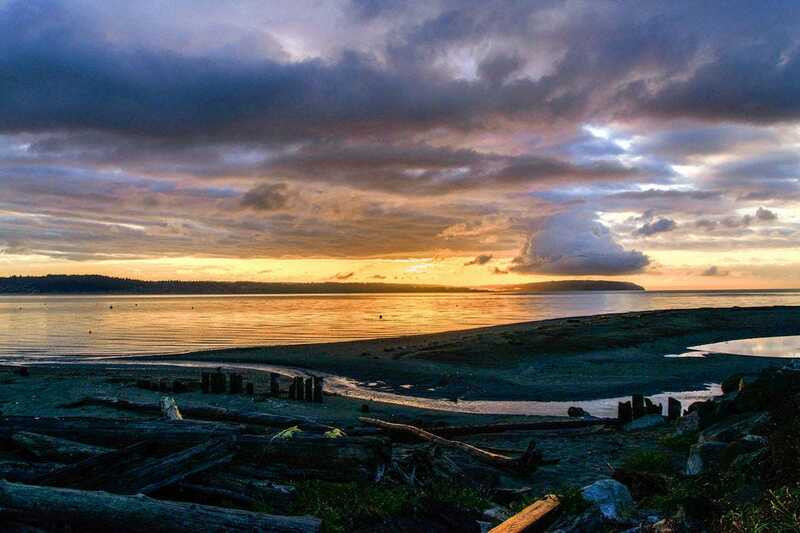 Known for its scenic beaches – like dog-friendly Double Bluff – and fresh, from-the-source fare, Whidbey makes for a perfect day trip from Seattle (the ferry crossing from Mulkiteo takes 20 minutes) or a weekend-long affair. 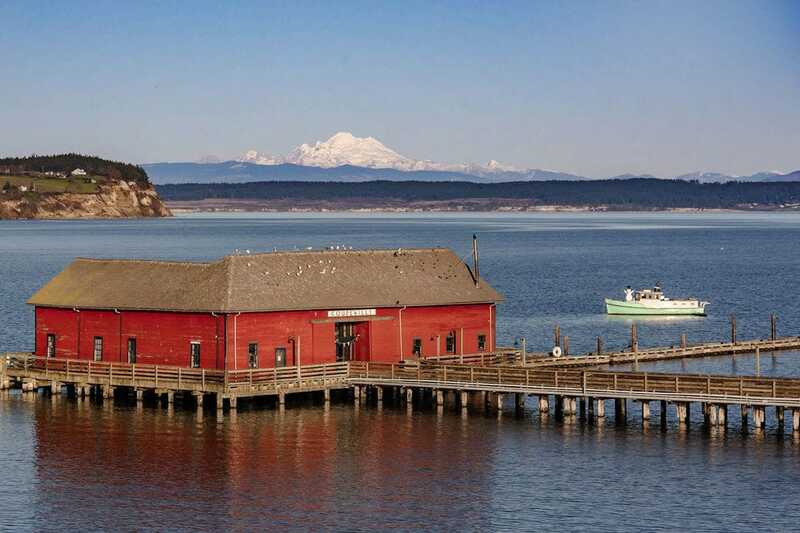 In any season, you’ll want to stroll around Ebey’s Landing National Historical Reserve and pop into Langley Whale Center. 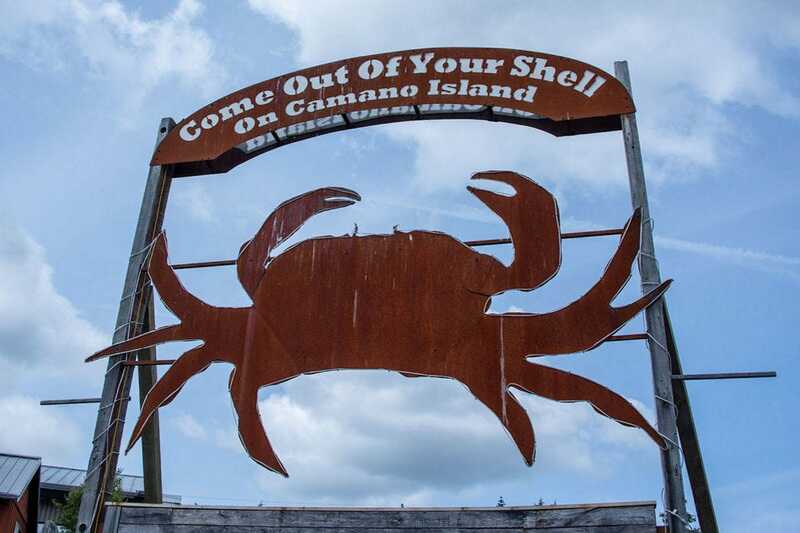 Sample the island’s world-famous Penn Cove mussels and taste wine at Dancing Fish Vineyards, where draws range from lawn bocce games to a Friday night “Music in the Barn” series. The welcoming, family-run bed and breakfast Comforts of Whidbey proves a convenient base just outside of Langley. The inn’s spacious tasting room serves delicious wines (try the delightful sparkling options), and comfortable bedrooms upstairs feature soothing water views. Breakfast in the main room entails such treats as baked eggs, warm-from-the-oven coffee cake, fruit smoothies, crispy potatoes and homemade jam, alongside conversation with your inviting hosts. In fact, winter months seem the perfect time to cozy up inside among locals and sample all of the island’s delicious bounty. Find local fare, uber-friendly folks and occasional live music at gastropub Roaming Radish, tucked away in a funkily renovated airplane hangar. Recent menu standouts included the Roamer Bowl, a perfect combo of caramelized pork belly, house-pickled carrots, red onions, green beans and red peppers, fresh cilantro, green onion, lemon and a Wagyu bone broth with oyster mushrooms from nearby Fat Cat Farms. Since Orchard serves loyal regulars, the couple tries to never repeat menus when collaborating with local farmers, vintners, cheesemakers, chefs and oystermen on their ever-rotating, four-course dinners. Inside the magic-tinged space, guests make new friends at long communal tables as they savor Farmhouse Dinner standouts; think Whidbey’s best of the best, from mussels, crab and lamb to a crowd-pleasing cheese plate. 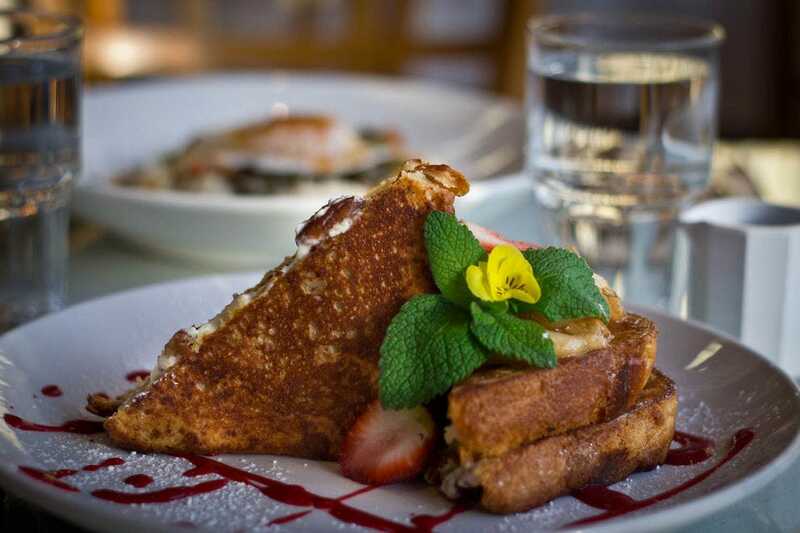 While on San Juan, other highlights include diving into tasty pub fare and fresh, seasonal seafood dishes at laid-back Cask & Schooner or savoring locally-sourced meals (with elevated water views) at elegant Friday Harbor House. Sip local cider, brandy and gin at Roche Harbor’s San Juan Distillery, get a history lesson at intriguing spots like American Camp and English Camp, or try to glimpse whales and other sea life at Lime Kiln State Park. Spectacular Orcas Island offers a bounty of treasures for nature lovers – the 5,252-acre Moran State Park, several lakes and 38-plus miles of hiking trails. Afterward, take a dip in the soaking tubs of Doe Bay Resort & Retreat, and fuel up on colorful, organic dishes at on-site Doe Bay Cafe. To get a feel for regional culture, chat up island residents over cocktails at The Barnacle or pints at Island Hoppin’ Brewery. Our one piece of advice: With all this talk of winter and spring fun, don’t forget to look ahead to sweet summer promises, too.